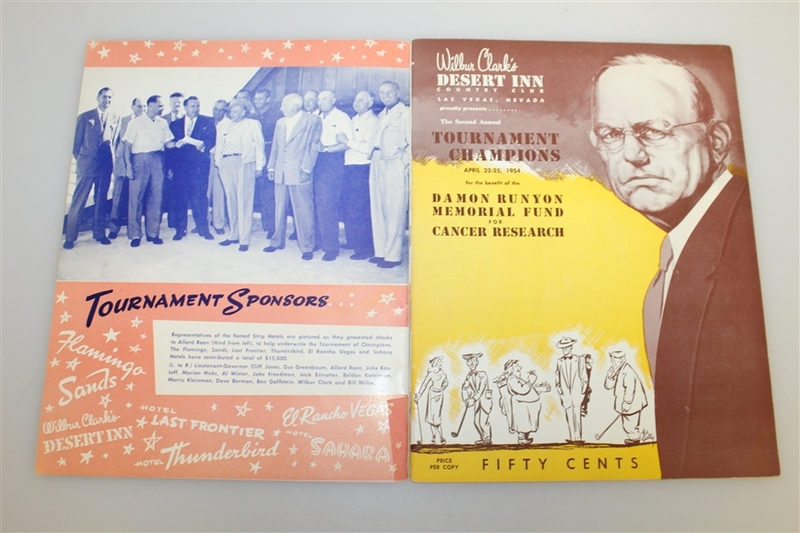 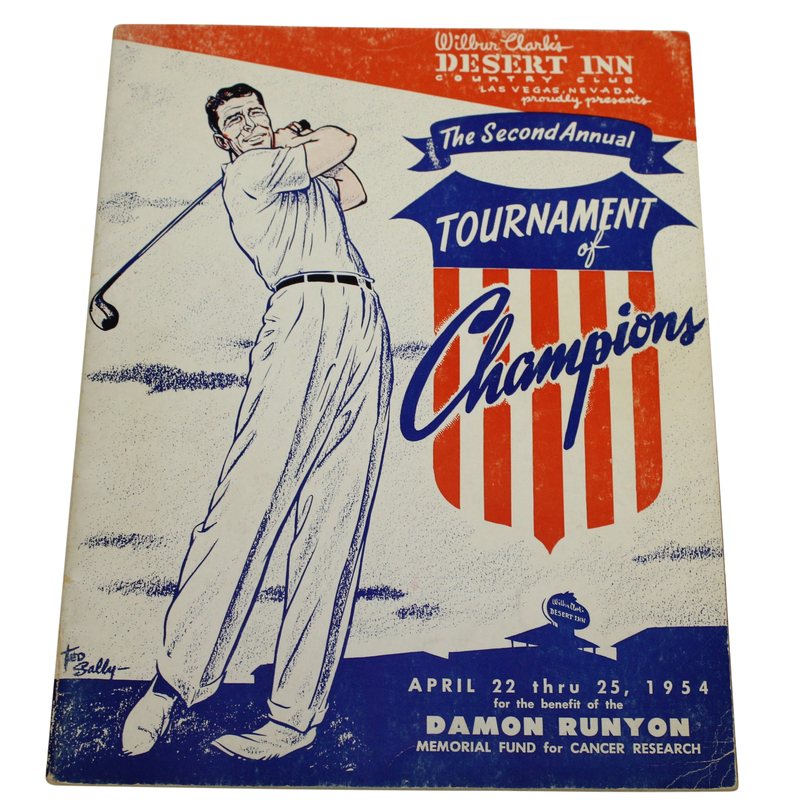 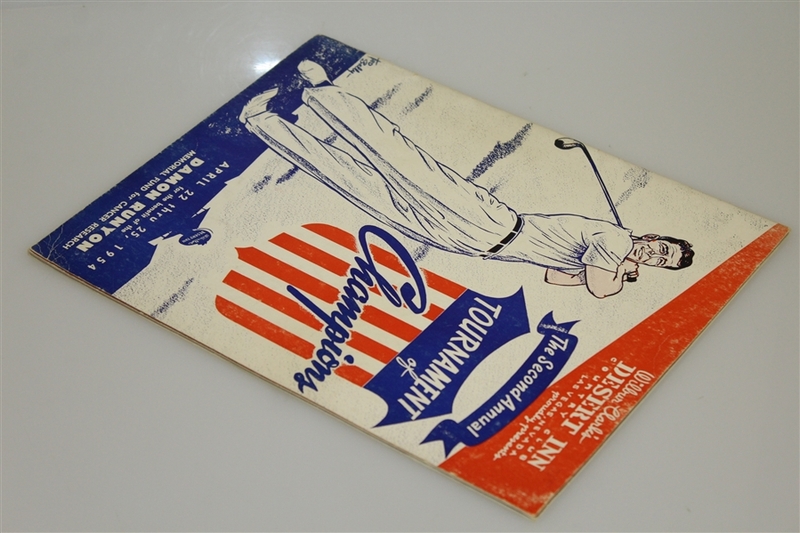 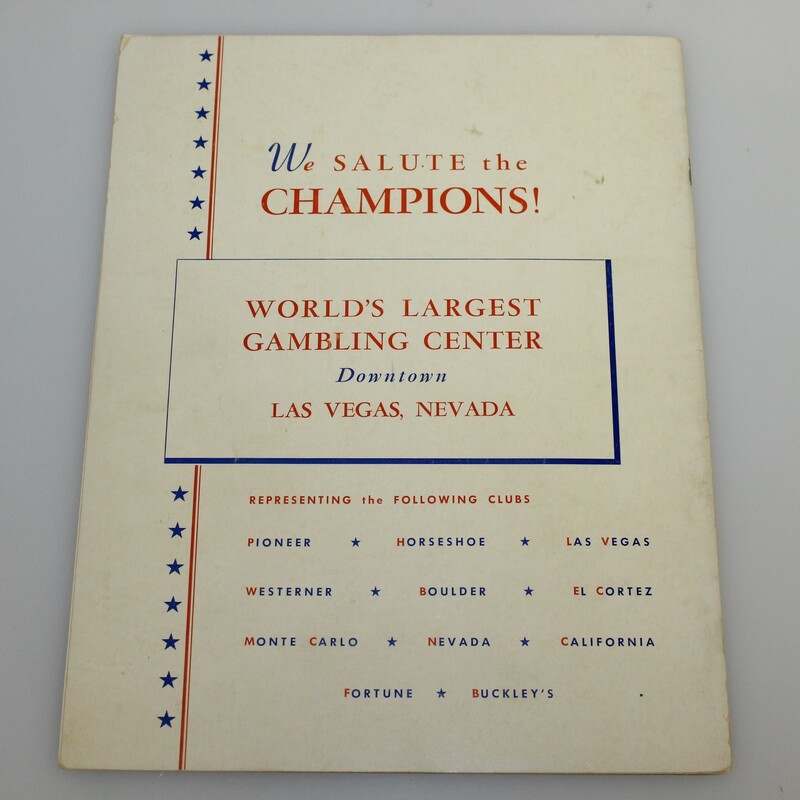 Here we have a program from the 1954 Tournament of Champions at Desert Inn Country Club. 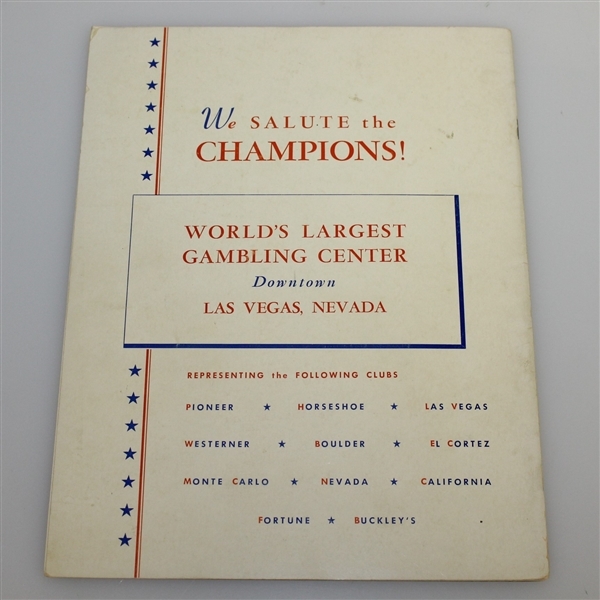 The covers of the program show some foxing and creases, please see photographs. The second annual Tournament of Champions was held in 1954 at the Desert Inn Country Club. 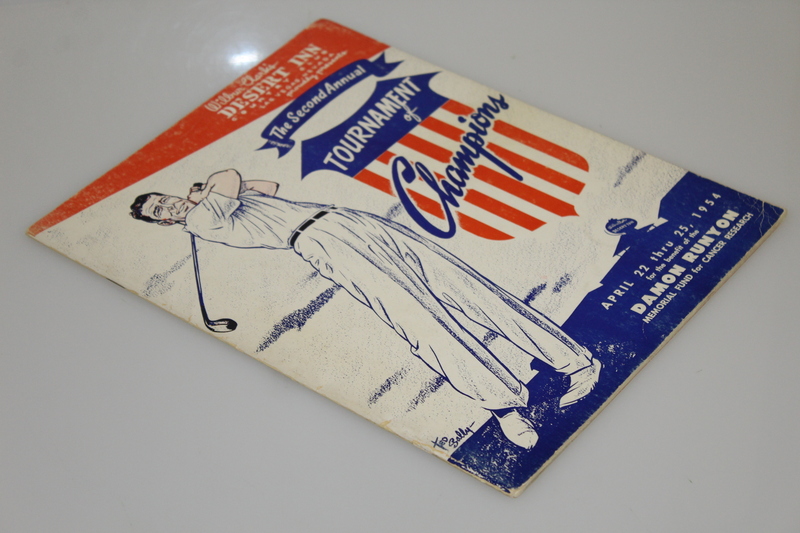 Art Wall Jr won the tournament, beating Lloyd Mangrum and the reigning champion Al Besselink by 6 strokes.